 More spontaneous, garrulous, and revealing than her published poetry or prose, these letters, over 500 selected from the several thousand she wrote between 1928 and 1979, edited by her friend and, from 1957, her publisher, Robert Giroux, are as close to an autobiography as the private and modest Bishop (1911-79) was to write. Clearly a poet's letters, they are primarily addressed to Robert Lowell, her friend, mentor, and briefly suitor, and to Marianne Moore, again a mentor from her student days at Vassar, but one whom she gradually outgrew. These are formal letters, in keeping with the writer's restrained and understated personality, devoted to poetry, poets, getting published, getting grants, awards, money, and whatever interested her. A book called Mathematics and the Imagination provokes her ``attempt at mastering infinity. I get it for two minutes and then it slides away.'' Such subtle humor and delicate perception appear in her observations of plants, animals, flowers, people, daily life in New York, Maine, Yaddo, Key West--where she lived for nine years with Louise Crane- -and Brazil, where she spent 15 years, from 1952 to 1967, with her beloved Lota, an heiress who built her a studio and committed suicide when Bishop returned to America. Of interest but not included by Giroux are Bishop's pride in Lota's political life, the logistical problems it created, the poet's plaintive response to Little Women (``matrimony, womanhood, babyhood are best''), and adventures, such as her trip down the Amazon with Aldous Huxley. Giroux's Bishop is reticent about her feelings, refined, incidentally homosexual, sickly, judgmental about her friends, and disdainful of ``this Creative Writing business,'' the teaching career, mostly at Harvard, that she undertook late in life. 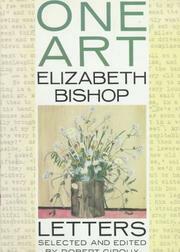 A useful tool in the Bishop industry that in 1993 alone produced the Collected Poems, Collected Prose, and at least nine biographical critical studies. The value here would be enhanced by explanatory footnotes.